Sleeping in a work of art? This is the new idea of ​​the hotel Grand Amour! 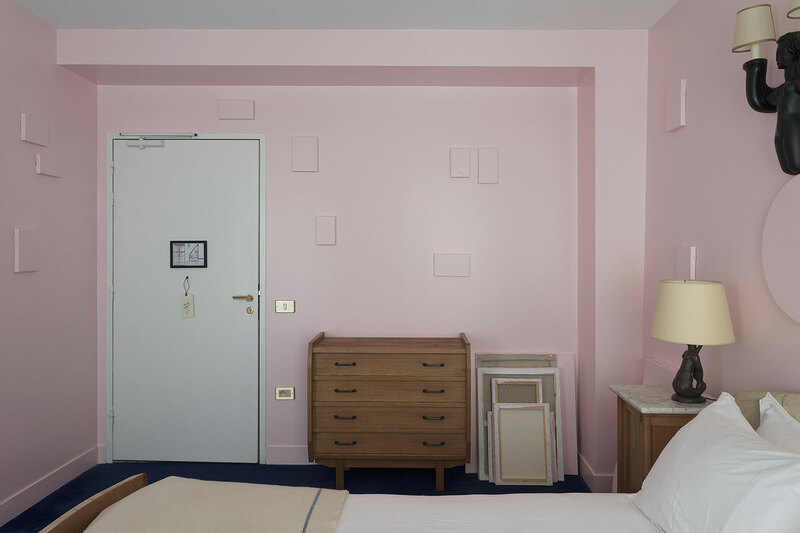 The project is carried out by André Saravia, who invited Claude Rutault to sign the room 105 in the Rue de la Fidélité. In the logic of his de-finitions / methods, A vocabulary he established in 1973, the artist represented by the Perrotin Gallery, imagined a permanent and evolutive installation in this room, all painted in rose, “a canvas stretched on a frame of the same color as the wall on which it’s hooked on! 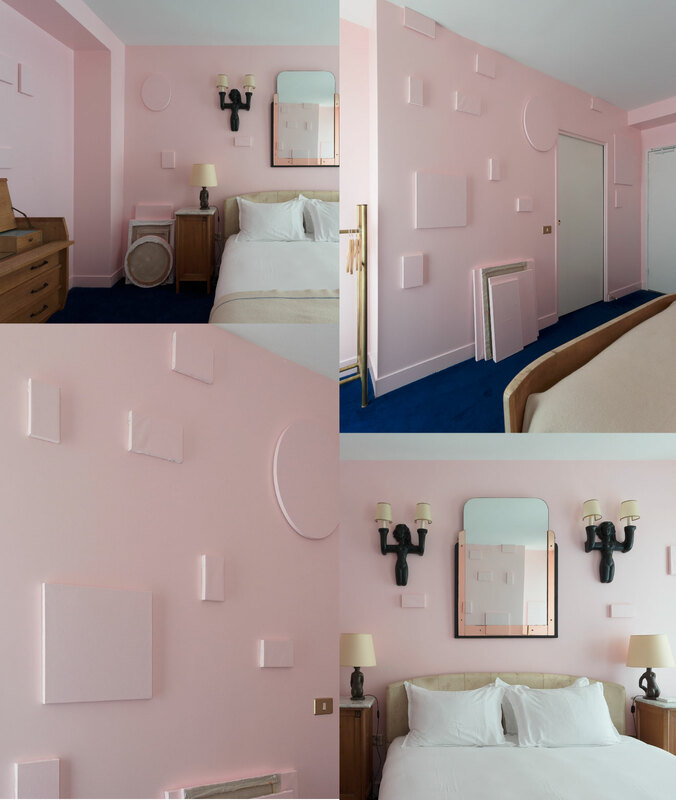 ” The purpose of this experiment, called “A vous de jouer”, is to allow guests to arrange on the walls, as white sheets, the canvases given to theme. Tables of different shapes and sizes can be hung freely on the walls according to their wishes. When leaving the hotel a document is given to the visitor indicating the date when the visitor updated one or more definitions / methods. Verdict? Playing the artist role for a night or more …: galvanizing and participative! A re-creation in short!